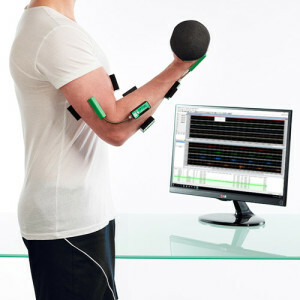 Use the latest generation of biofeedback wireless sensors and equipment to record joint movement analysis, EMG and force data real-time. Quick and easy to set-up, the DataLITE Wireless sensors provide superb quality of signal and gives the test subject total freedom of movement. For more than 20 years, Biometrics Ltd sensors are used around the world in various settings that include biomechanics, ergonomics, sports and exercise science, medicine, physiotherapy, neurology, veterinary science, aerospace and industrial design. 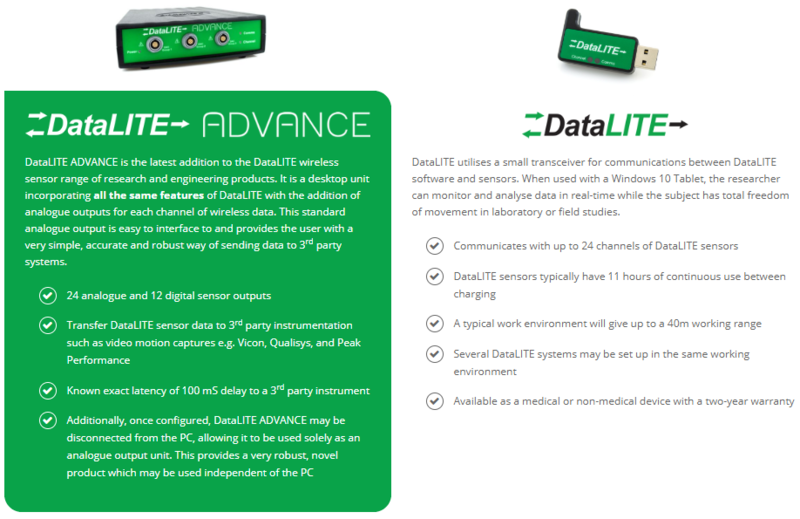 DataLITE Wireless sensors require the DataLITE Dongle (receiver) as the interface to the computer.